We offer to our clients what we feel is the most powerful and unique approach to retirement planning in the market today. We create Retirement Lifestyle Plans plans tailored specifically to your goals, dreams & individual financial condition. We then use the most sophisticated software available for determining your plans probability of success. The results of our approach to financial and retirement planning will be a detailed Retirement Lifestyle Plan that will show the probability of success of achieving your financial goals. Your Retirement Lifestyle Plan will provide you and your family with the answer to your question "Will I be OK"? 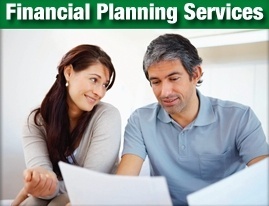 Working with your Fincncial Advisor – Your unique Retirement Lifestyle Plan will be customized to each individual clients goals and financial situation. Seven Steps to developing your Retirement Lifestyle Plan. 1. Identify all your unique Goals and create an Acceptable Range for each. 2. Determine the balance of Risk and Return that is right for you. 3. Identify the resources that will help fund your Goals. 5. Test the Plan using state of the art software to determine it’s Probability of Success. 6. Review and discuss your Plan results with your Investment Advisor. - Ensure that your plan is in the Confidence Zone of Success. 7. Implement your Action Items. Please contact us today for a no charge initial consultation to discover the benefits of a customized Retirement Lifestyle Plan tailored to your unique goals and financial condition.